The Pro-B4 will provide "the shortest flash duration of any battery generator in the world" and sub-one-second recycle times, says Profoto. 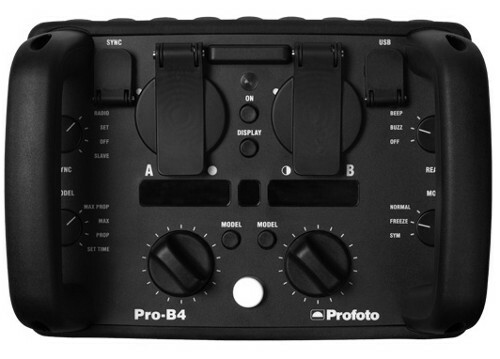 Following a teaser and countdown, Swedish manufacturer Profoto have revealed more information about their Pro-B4 generator. 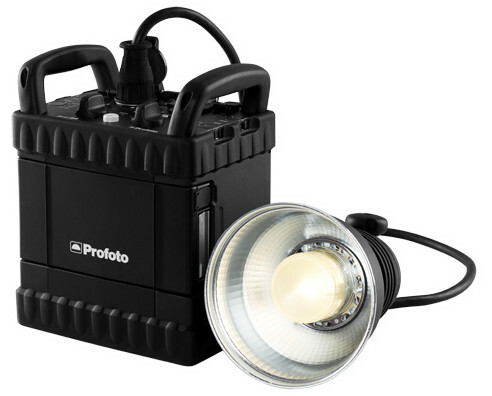 The firm also announced new Pro Plus flash heads, with some improvements over previous lamps. The Pro-B4 1000 Air is a studio generator, powered by a lithium battery that can be recharged at the same time as the pack is being used. The B4 can run two flash heads at once and adjust them independently of one another. While rated at a dazzling 1000J, at full power the Pro-B4’s recycle time of under one second is very nippy — that’s faster than many dimmer, mains-powered studio lights from other brands. At low power settings it can apparently fire at up to 30 shots per second, faster than the frame rate of any conventional DSLR camera. The flash pulses are remarkably quick too: the shortest duration is 1/25,000 second (t0.5), which Profoto reckon is “not only the shortest flash duration of any battery generator in the world, but also of any flash pack.” However, the company haven’t specified the longest flash duration, which could be geological for all we know (though it probably won’t be — this is a fourth generation model). From the control panel on the pack, a photographer can adjust each output with 1/10-stop precision and display the power settings in either f-stops or Joules. Every socket — even the sync jack and USB port — has a protective lid to keep the elements out. Similarly, there are no air vents so dust cannot get in; presumably Profoto have come up with an alternative way for the heat to get out in heavy use. The rubberised coating (over an aluminium chassis) is designed to take some abuse, so the rental houses needn’t worry too much about hiring it out to their clumsiest photographer clients. Update: according to the manufacturer, from a single charge the Profoto Pro-B4 battery can handle up to 220 full power flashes or over 50,000 flashes at minimum power. 220 might not sound like a lot, but 1000J is a lot of energy to be throwing out. Plus, the pack recharges from flat in just 45 minutes and can be used at the same time. In addition to the B4 pack, Profoto have announced a series of new lamp heads with various boring-but-useful upgrades. There are new weatherproof connectors (still backwards compatible), better light stand adapters, thicker protective glass and more stable so-called “Perfect Arc” flash tubes. The new heads are called the ProHead Plus, Pro-B Head Plus, ProRing Plus and ProRing 2 Plus. There are no specifics on pricing, but expect all these products to be available (or at least a release date announced) at the Photokina trade show in Cologne in two weeks time. 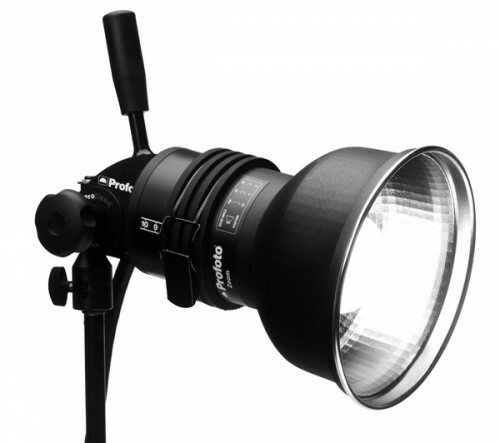 For a list of worldwide Profoto distributors, click here.